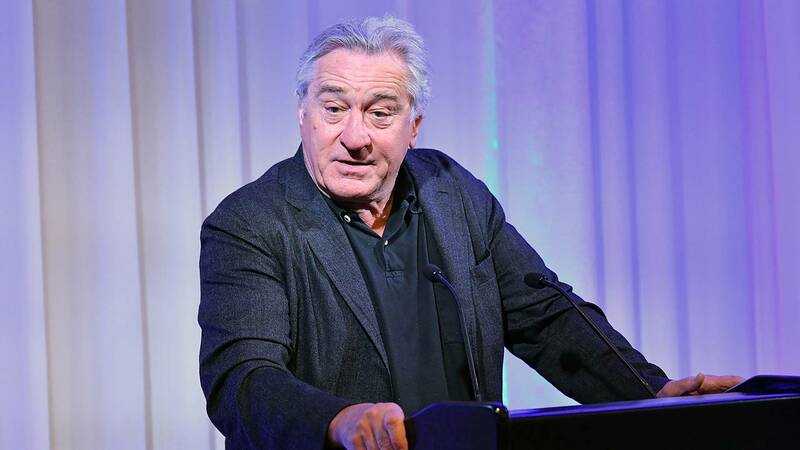 Co-founder of Tribeca Film Festival Robert De Niro speeks during a press luncheon during the 2018 Tribeca Film Festival at Thalassa on April 18, 2018, in New York City. (CNN) - Friday is the day of the National School Walkout, an event conceived by a 16-year-old Connecticut student after the February shooting at Marjory Stoneman Douglas High School in Parkland, Florida. At 10 a.m. in each time zone, participants are going to walk out of their classes and observe a moment of silence for school shooting victims. It's always a touchy subject when schools and protests mix, but the students and staff participating have the support of one of America's biggest stars. Actor Robert DeNiro penned an "excuse letter," like the one a parents would sign for a teacher, for anyone who may need that extra boost of encouragement to participate. However, the tone of the letter is extremely serious. He identifies that the walkout covers plenty of legitimate reasons someone would be absent from school: Health, a memorial obligation, community service, good citizenship and education. "I know we share the same interest for our children - a safe nurturing environment for their education and growth. I have four children and four grandchildren in school now," the letter begins. "I would never make a frivolous request for them to miss classes." He goes on to call gun violence a "devastating disease," and calls the walkout "an opportunity to teach these kids history by encouraging them to make history." "This is what good citizenship is all about," he writes,"Making things better." The official Twitter account of the walkout shared DeNiro's message on Wednesday. A representative for DeNiro confirmed to CNN that he was, in fact ,the author of the letter. Friday's walkout is also an observance of the 19th anniversary of the Columbine High School shooting. CORRECTION: An earlier version of this article incorrectly stated the organizers of the National School Walkout are Marjory Stoneman Douglas survivors. Lane Murdock, a 16-year-old high school student in Connecticut, is credited with conceiving the idea.